You and Your Guitar is a series of eight articles which I wrote with the chartered physiotherapist Jane Kember, who at the time was also working as an advisor for BAPAM, the British Association for Performing Arts Medicine; they were published in Classical Guitar magazine from November 1995–September 1996. While the illustrations are ‘rudimentary’, hopefully the text might have some useful ideas. 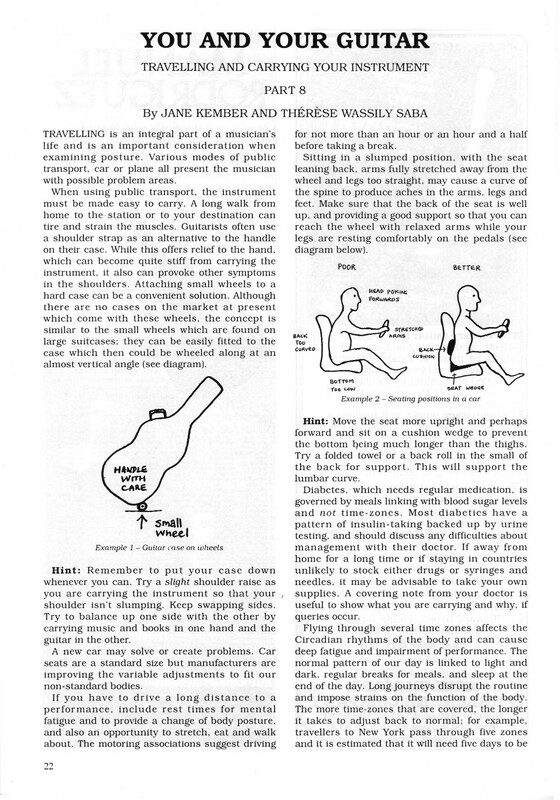 TRAVELLNG is an integral part of a musician’s life and is an important consideration when examining posture. Various modes of public transport, car or plane all present the musician with possible problem areas. This series of articles aims to raise the level of awareness of musicians to their bodies. It is not a substitute for seeking professional help when problems arise. Each of the articles in the series focuses on one aspect of the body, but please remember that no part can be considered in isolation. The body and mind work together as a whole. 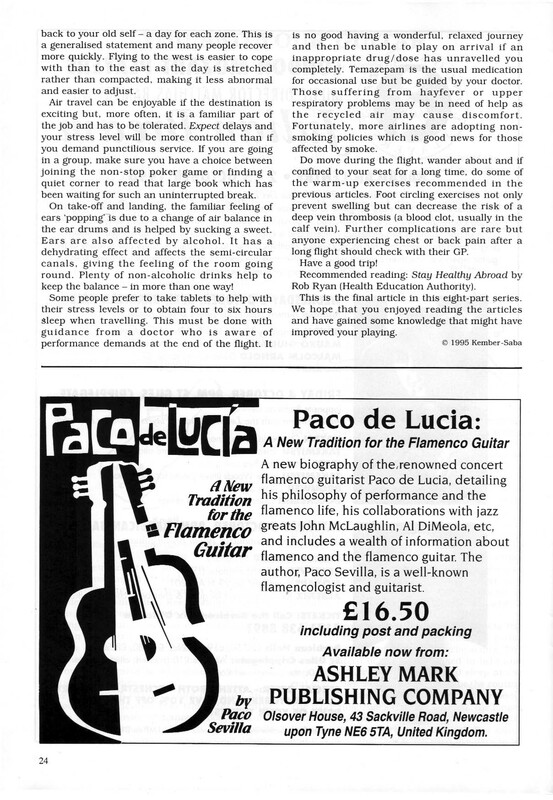 Published in Classical Guitar magazine, Vol. 15, no. 1, September 1996, pp. 22–24.